Do you enjoy making fish dishes? 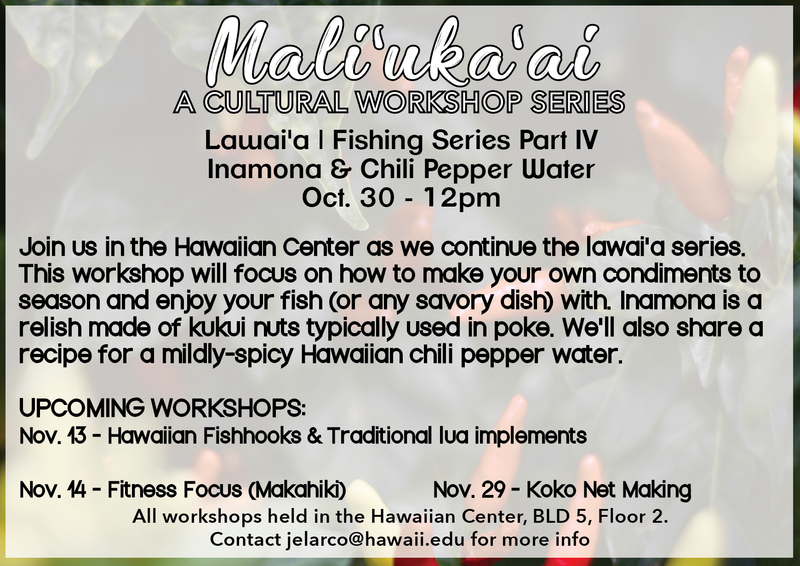 If so, learn how to simply season your fish dishes in the Hawaiian Center on Tuesday. You can also learn how to make a mildly-spicy Hawaiian chili pepper water. The workshop starts at 12 p.m. Tuesday, Oct. 30 on the second floor of Building 5.